Porsche's head of operations in North America says preorders for the Taycan electric 4 door sedan have been stronger than expected, with many Tesla owners rushing to get to the head of the line. Porsche recently brought the Cross Turismo electric SUV to California for journalists to drive. They came away highly impressed with the car, which might go into production as soon as 2020. Once seen as the domain of tech geeks and tree huggers, electric cars have transformed into the new, must-have accessory for the rich and famous. Hannah Elliott reports (via Bloomberg), "When marketing luxury vehicles, ‘electric’ is no longer a bad word... feeling good about your car is the new feeling cool about your car." Porsche says it is doubling its investment in electric vehicles and charging infrastructure. Mercedes has announced it will have an all electric version of its popular Sprinter van available in Europe by 2019. The electric vehicle revolution rolls on. Details about the Porsche Mission E are beginning to appear. The car will have three performance levels. all wheel drive, and start at less than $80,000. 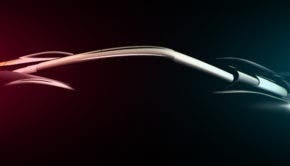 The first cars will be available in 2019. Electric supercar concept vehicles show that the electric engine is going mainstream. They herald a new era of electric vehicles and present some exciting prospects of what that future might be. Here's a rundown of some new electric supercars that have some astonishing specs. The concept version of the Porsche Mission E went to Norway this week for a private showing to dealers. Rumors suggest significant differences between the concept and the production car. 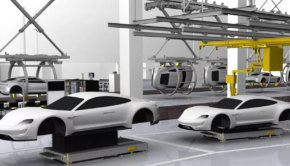 Porsche will power its new office in Berlin with a $900,000, 88 ton solar pylon that will provide all the electricity needed to power the new building. It is also a symbol of the company's commitment to electric cars.